In the "The Power of One Day" Meghan O'Leary shares her experience going from working a desk job to becoming an Olympian in a sport she had never tried in only six years. Her journey reminds us of the possibilities within our reach and the limitless potential of each day. 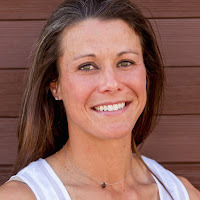 Meghan O’Leary is a 2016 Olympian and six-time National Team member of the United States Rowing Team. A native of Baton Rouge, Louisiana., she was a two-sport student athlete (Volleyball, Softball) and Jefferson Scholar at the University of Virginia. After obtaining both her Bachelor’s and Master’s from UVA, she worked for ESPN for five years. In 2010, her career took a dramatic turn after picking up rowing for the first time. In one short year, she went from novice to elite athlete and was invited to join the USRowing National Training Center in Princeton, N.J. in 2011. She most recently made history by winning a silver medal at the 2017 World Championships in the women's double sculls, the best finish ever in that event for Team USA. In addition to her rowing career, Meghan balances life as an entrepreneur and building a successful software company as Vice President of InstaViser, Inc. She has served on multiple boards, including the USRowing Board of Directors for the past six years.